Eagle-eyed whisky drinkers will have noticed inconsistencies with the spellings of ‘whisky’ or ‘whiskey’ from one region to another. But why do some countries omit the letter ‘e’, while others keep it in? Only the Whisky Professor could offer such an intelligible explanation. Pop quiz: How do you spell whisky? This question has been bugging me for a long time now, so I thought I’d just bite the bullet and ask you directly – why do the Scots spell whisky without an ‘e’, while Irish and Americans add it in? Is this because it’s made in a different way? Would that it were so simple. We are in the realm of tom-ay-to/tom-ah-to. 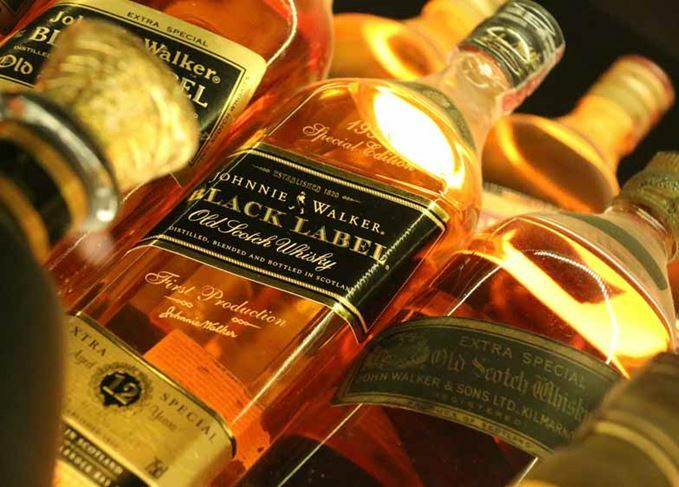 The reasons between the spelling of ‘whisky’ and ‘whiskey’ are also somewhat confusing. So confusing – befuddling even – that by the end of this you may regret asking what seemed to be such a simple question. The spelling of Scotch whisky (no ‘e’) is enshrined in law. The same applies to Canadian whisky, while Japan, England, Wales, the Nordics, Australia (you get my drift) follow that lead. As you correctly point out, American and Irish producers use the alternate spelling, with the ‘e’. Mostly. These spellings were, however, only fixed in the 20th century. Up until then, the extra ‘e’ was being flung around as if at a rave in the 1990s. Some distillers – be they in Scotland, Ireland, or the US – used the ‘e’. Others didn’t. It is widely believed that during the 19th century, Ireland’s distillers began to use the ‘e’ as a way to differentiate their whiskeys from Scotch. They were becoming more popular and were regarded as being of higher quality. Having a different spelling gave the Irish another way of distinguishing between the two styles. Marketing, in other words. That said, the illuminating counterblast against grain whisky written by the main Irish producers in 1879 (which I recommend you read) was entitled Truths About Whisky (not whiskey), a spelling which was used throughout. To compound the confusion, while contemporary advertisements for Dublin whiskey merchants at the time show most spelling it with an ‘e’, distillers George Roe and Cruiskeen Lawn both did it without. The Cork brand, Paddy, only added the ‘e’ in the 1960s. American spelling: Why do some American whiskey brands like Jack Daniel’s spell ‘whiskey’ with an ‘e’ and not others? At least the Scots were consistent. Or so you might think. The ‘Truths’ blat was the first skirmish in a debate, which culminated in the Royal Commission sitting in 1908, entitled Enquiry into whiskey and other potable spirits. The ‘e’ spelling is used throughout. In his magisterial account Scotch: A Liquid History, Charles MacLean says that spellings became standardised soon after. The Irish stuck with the ‘e’; the Scots didn’t. You would expect things to be clearer on the other side of the pond. Canada maintained the ‘Scottish’ spelling (perhaps because of ties to the country), while America went down the ‘e’ route. This has been posited because of an influx of Irish distillers (or Irish whiskey). It could equally be another example of America’s individualistic approach to spelling but I do not wish to venture any further down that path. Not all American whiskeys use the ‘e’ however. Of the major brands, Maker’s Mark and George Dickel refrain from using the standard American spelling. In Maker’s case, this was as a tribute to the Samuels family’s Scots-Irish ancestors. Yes… I know. You may think that they are the exceptions to the rule, deviations from the legal norm. In fact, the Bureau of Alcohol, Tobacco and Firearms (BATF) regulations, governing Bourbon etc, use the spelling ‘whisky’ as the correct legal term. Whiskey is permitted because it is traditional. The majority of distillers, you could argue, are exceptions and those such as Maker’s and Dickel are abiding by the law. Bet you’re glad you asked now, eh? I need a lie down and a whisky, or a whiskey.